Disclaimer: The WON • This publication receives payment for advertising. • This publication reviews products and provides editorial copy (like all other major publications) because of advertising sold. It does not guarantee a positive review of such products. • If our freelance writers do not pay a full retail price for a product being reviewed, from Feb. 11, 2015, forward, they will explicitly state that in the review. • Unless explicitly stated, any writers at The WON have no affiliation or relationship with the supplier of a product being reviewed. • We generally follow the “if you can’t say something nice, say nothing” rule. If we review a product and don’t like it, we will either offer constructive criticism as to how to improve said product in print, or we will refuse to review it. 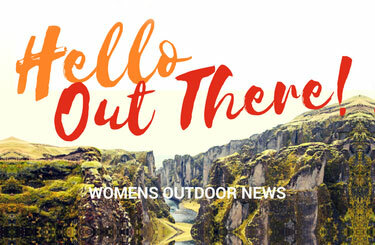 Women’s Outdoor News, The WON, contains intellectual property owned by Women’s Outdoor News, The WON, including trademarks, trade dress, copyrights, proprietary information and other intellectual property. You may not modify, publish, transmit, participate in the transfer or sale of, create derivative works from, distribute, display, reproduce or perform, or in any way exploit in any format whatsoever any of the Women’s Outdoor News, The WON content, in whole or in part without our prior written consent. We reserve the right to immediately remove your account and access to Women’s Outdoor News, The WON, including any products or services offered through the site, without refund, if you are caught violating this intellectual property policy.